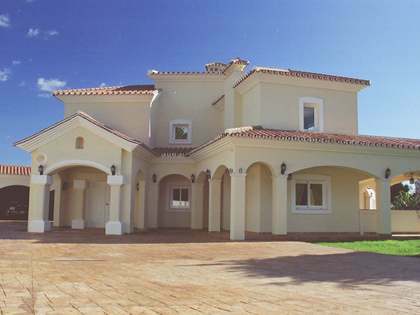 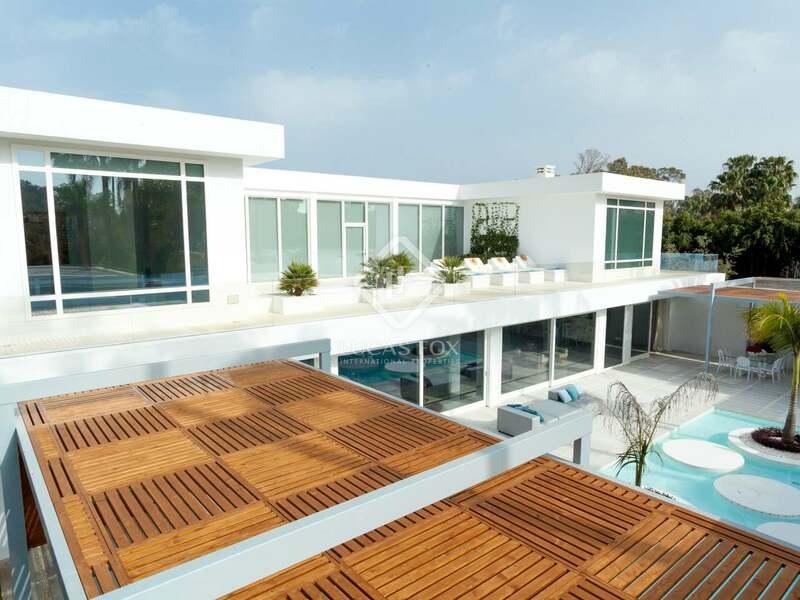 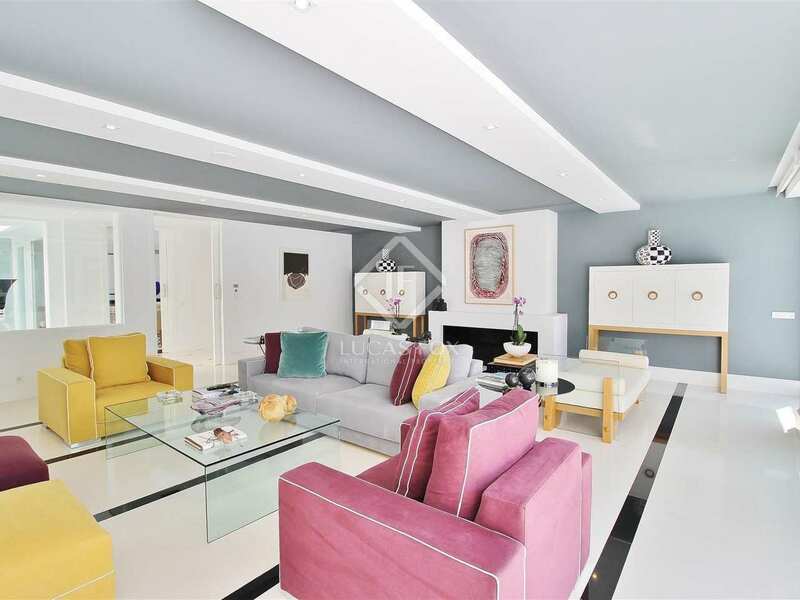 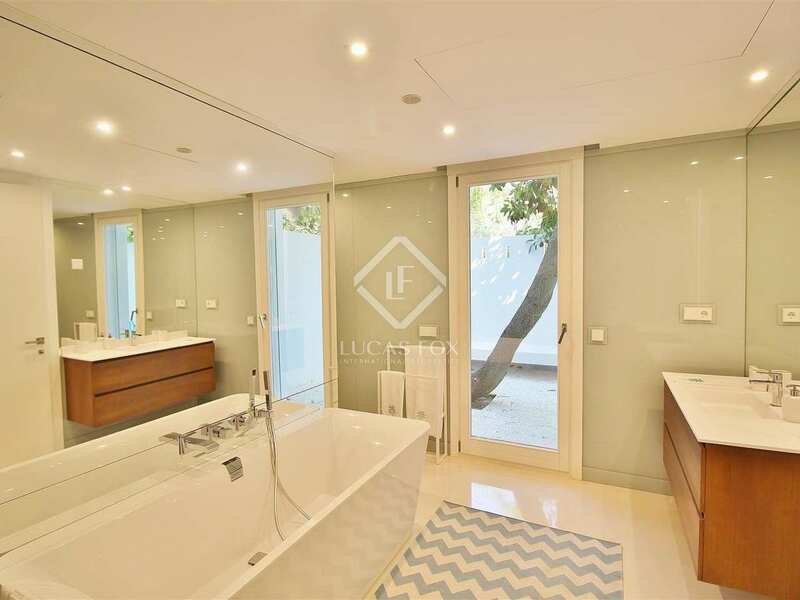 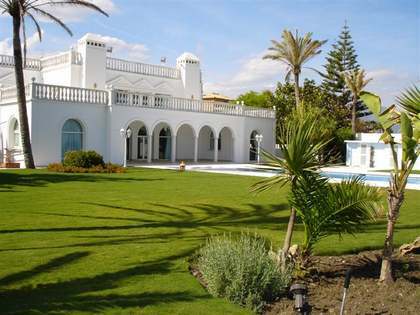 Immense luxury villa for sale in Guadalmina Baja, just 600 metres from the sea and 5 minutes from Marbella town, on an exclusive, private plot of some 3,000 m². 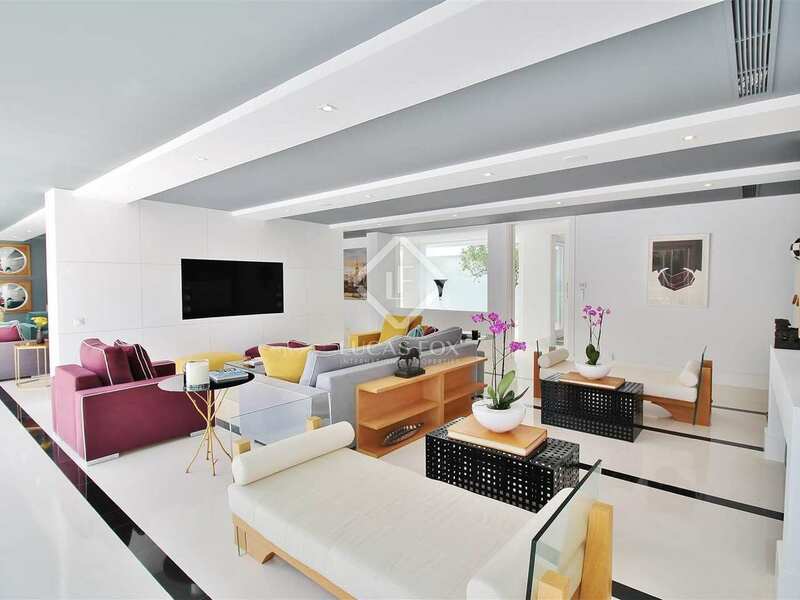 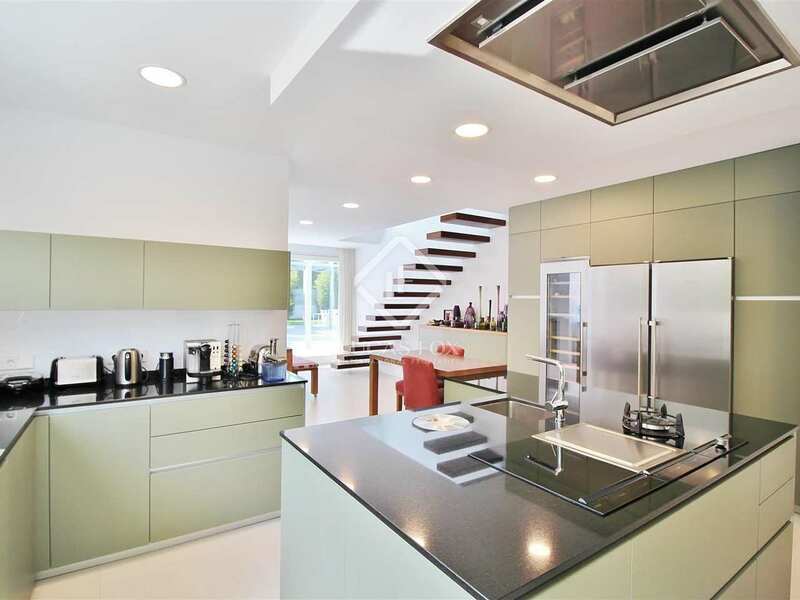 Built in 2016 this impeccable modern mansion offers complete tranquillity and the very best in luxury design. 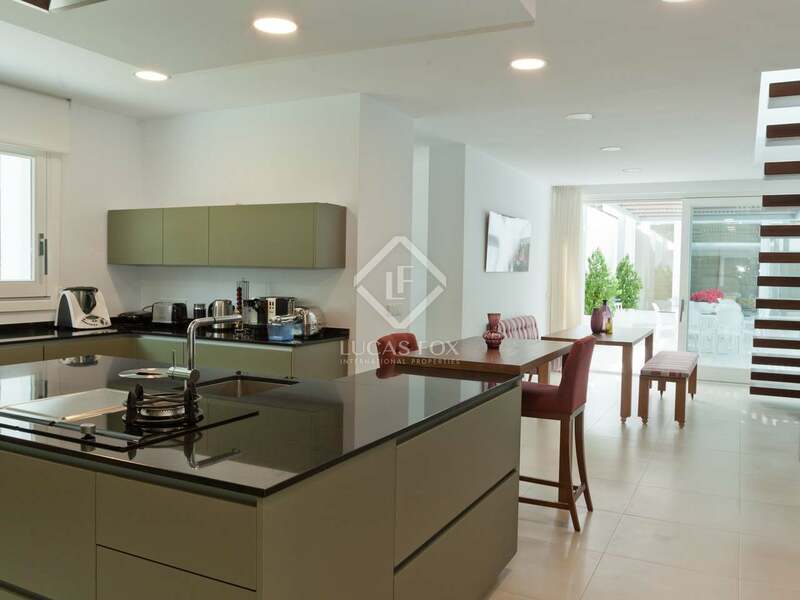 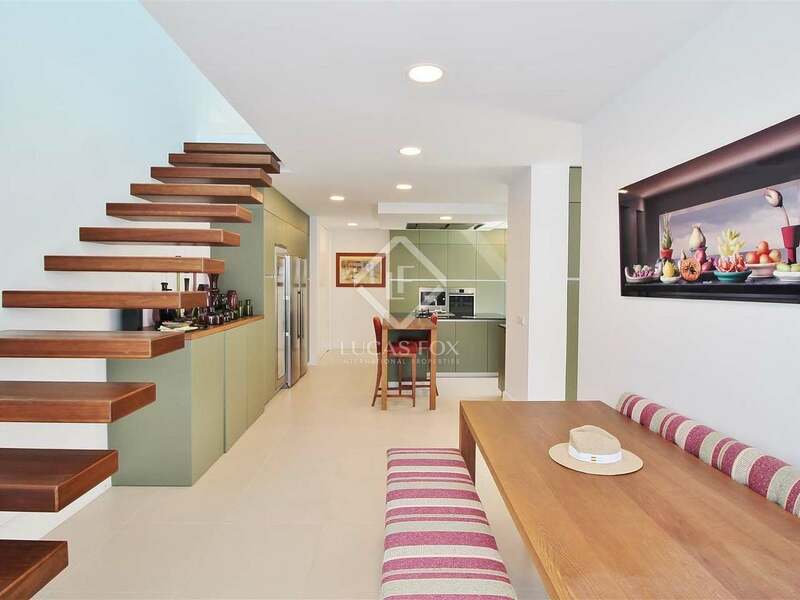 The ground floor consists of free-flowing, open-plan living and dining areas as well as a cutting-edge kitchen and several bedrooms with en-suite bathrooms, dressing areas and private outdoor space. 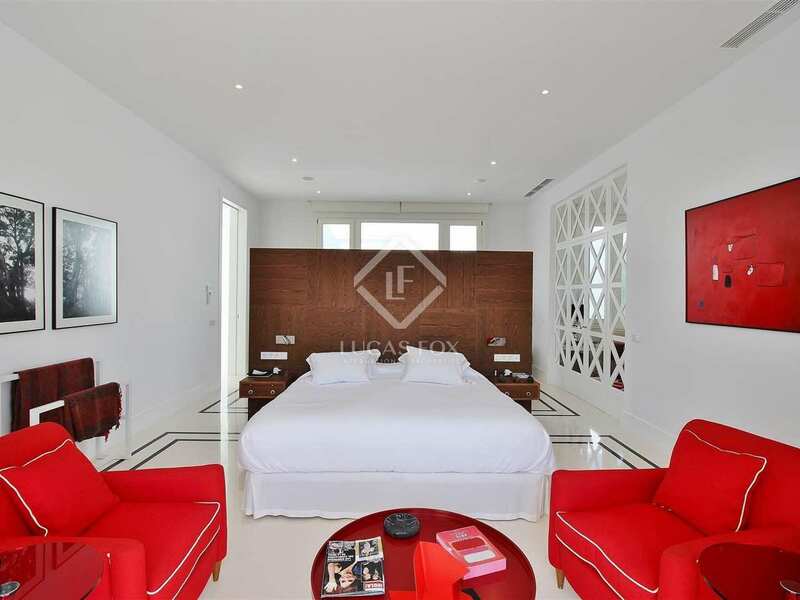 The upper floor houses the remaining bedrooms and bathrooms, including the sensational master suite with its large terrace, dressing room and study. 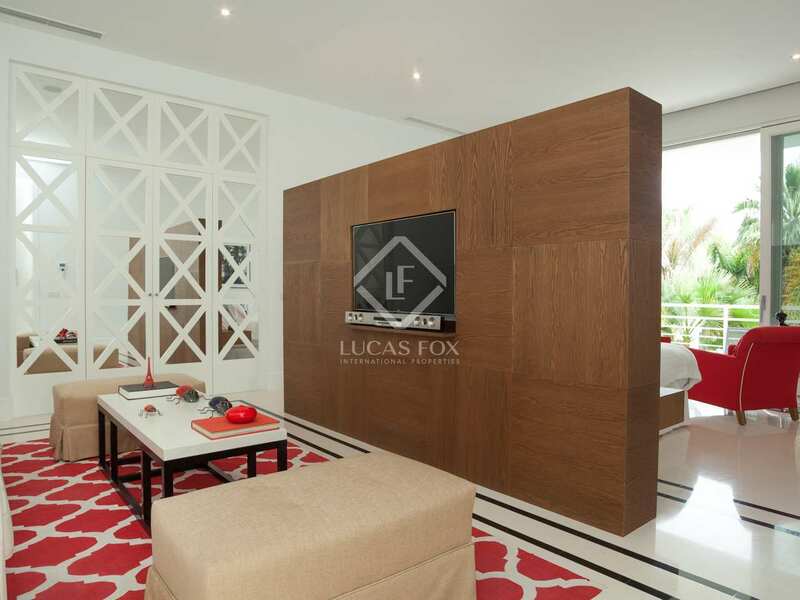 From the solarium on this level we can contemplate the beautiful natural surroundings and the stunning landscaped exterior with its man-made lake with palm tree islands, the large swimming pool and the many inviting corners for dining al fresco, relaxing and sunbathing. 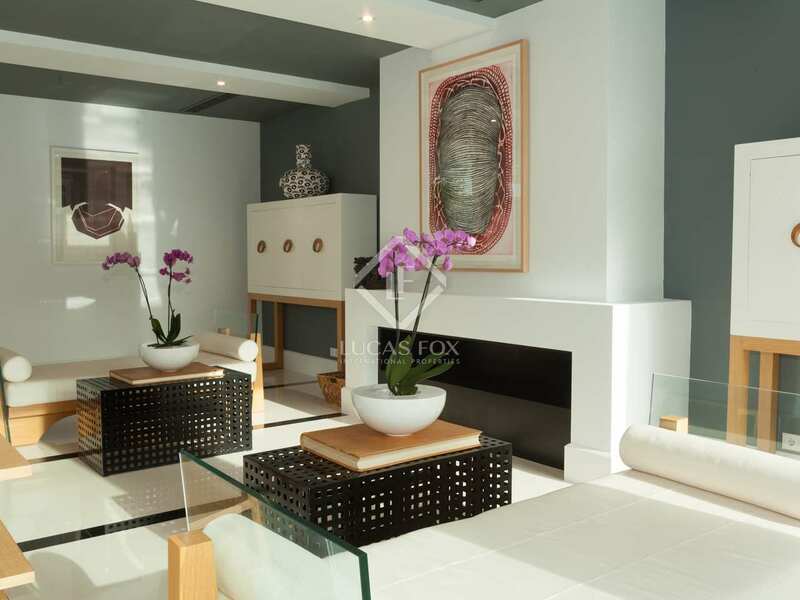 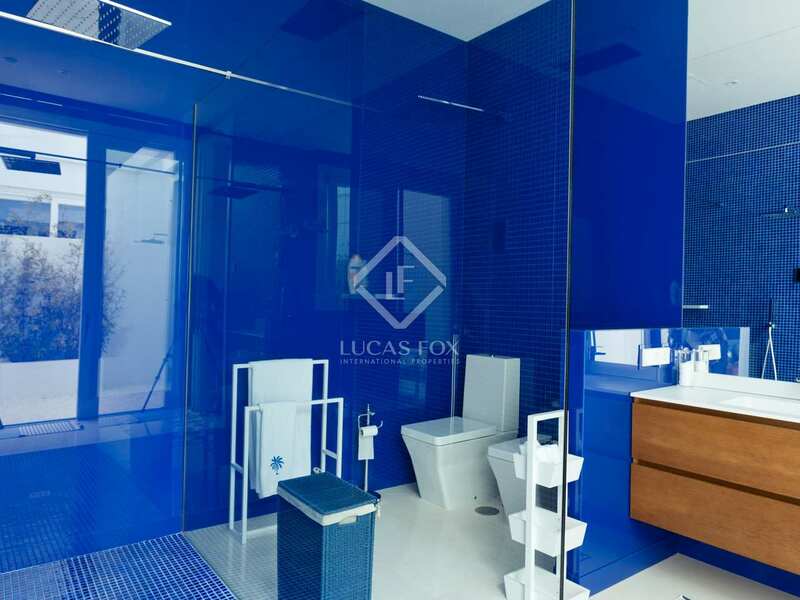 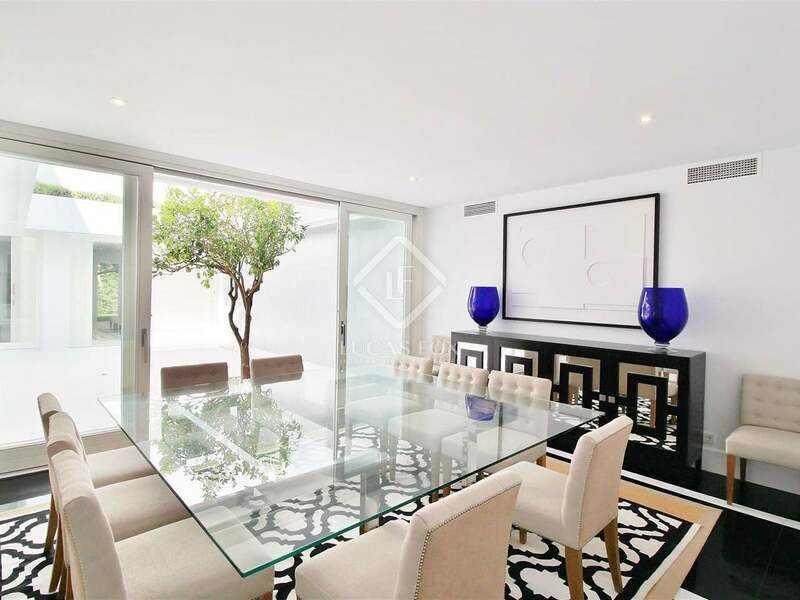 There are endless unique architectural features and design elements that come together in this highly exclusive coastal residence in Guadalmina Baja and make it a truly spectacular and unique property. 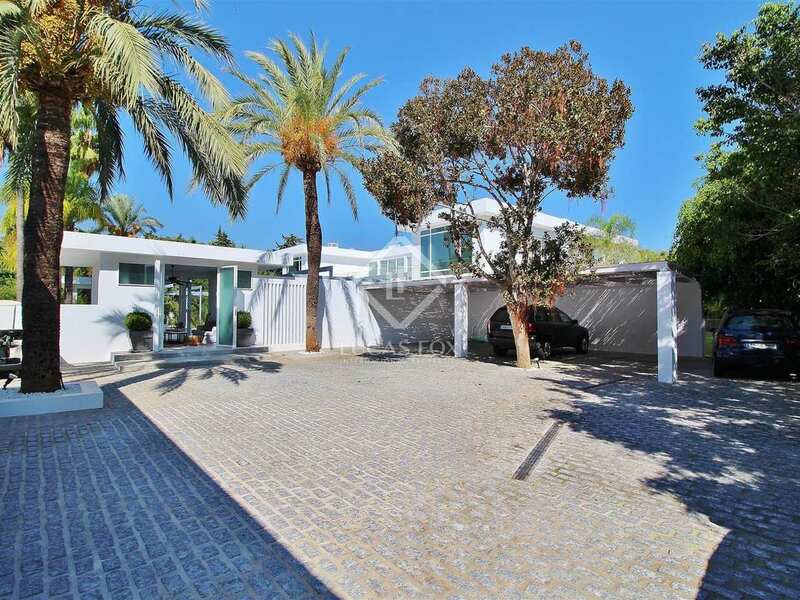 Exclusive villa in a wonderful location just 600 metres from the sea and 5 minutes from Marbella town, in Guadalmina Baja on the Costa del Sol.